White noise sounds similar to the noise heard when there’s no signal on your television or radio. A sound you’d probably try to get rid of as quickly as possible. So why is there a whole industry built around white noise production? And can it really help you sleep or concentrate better? To understand why people would want to listen to it, let’s first take a look at exactly what white noise is. 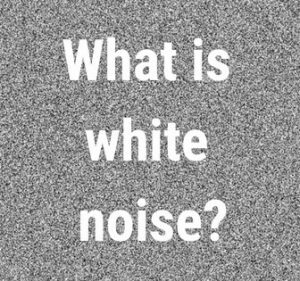 What is white noise exactly? It’s helpful to look at the name itself to start with. White noise gets its name from ‘white light’. In simple terms, white light is all colors, or frequencies of color, combined together. In a similar way, white noise is a combination of all the different frequencies of sound the human ear can hear. The white noise we talk about usually isn’t every possible sound put together though. White noise is the signal, or frequency, created when all the different frequencies of audible sound that the human ear and brain can perceive are put together at a similar level. The sound of white noise we hear as humans is the sound of all the frequencies between 20 and 20,000 Hz. So you’re literally hearing around 20,000 different tones of sound all at the same time. If you think about it this way – imagine you’re sitting in a quiet restaurant. You’ll be able to pick out the individual voices of your companions, and perhaps those on nearby tables. But now imagine you’re in a sports stadium waiting for the game to start. There could be thousands of people all talking at the same time, and it will sound like a blurred roar. White noise has a similar effect. You hear so many different tones all at the same time, it blurs into that ‘hissing’ or ‘shushing’ sound. It’s also why nature sounds, such as rain, wind, waterfalls or oceans, are often included on white noise players. There are so many different tones created by those forces of nature, that it turns into natural white noise. The simple explanation is that pink noise is a variation of white noise which sounds deeper, and with less of a high pitched hiss. The more complex explanation revolves around why white noise sounds high pitched in the first place. The reason is that each octave contains twice as many frequencies as the one below it. 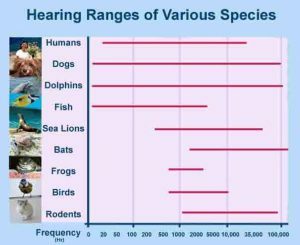 So, for example, between 100 Hz and 200 Hz there are 100 distinct frequencies. But between 200 and 400 Hz there are 200 frequencies. So by the time you get to 20,000 Hz, there are many more frequencies than there were at the lower end of the range. When pink noise is created in a sound lab, the sound engineers will usually reduce the volume of each successive octave to compensate for the extra frequencies. This balances the sound out by giving more energy to the lower octaves and gives it a deeper sound overall than white noise. Brown noise, sometimes called Brownian noise, sounds even deeper than pink noise, and considerably deeper than white noise. It often sounds like rushing water – like a waterfall. It’s not named after the color brown, but after Robert Brown, who discovered Brownian motion. This is because the signal is produced by the random pattern of particle movements. Brown noise can be produced, but not the same way as white noise or pink noise, and is much harder to create. Sound engineers have to use each sample to create the next one with an element of randomness introduced to the previous sample. Can brown noise make you lose bowel control? The legendary ‘brown note’ is supposedly an infra-sound frequency that makes people lose control. Despite being an amusing urban legend, brown noise shouldn’t make you lose control of your bowels though. However, experiments have been done by scientists, the military and in documentaries showing that there is no ‘one frequency’ that works on all people. Yes, some people may react badly to the resonance of certain frequencies, but there is no one sound you can create to make masses of people all run for the toilet. What is white noise useful for? Because white noise contains all audible frequencies, its most common use is to mask unwanted sounds. So who might find that useful? For light sleepers who are easily kept awake by external sounds, listening to white noise at night can help block out disturbing noise. So if you have trouble falling asleep because of the sound of traffic or music, white noise can mask that annoying sound. You need to have the white noise loud enough for this to work properly though. Otherwise, it will help mask other sounds, but not hide them altogether. The other theory behind why white noise helps you sleep is that your brain is incredibly active and loves stimulation. So any noise in the night will engage your brain. Having a constant white noise will therefore satisfy your brain’s need for stimulation and prevent it from getting overexcited when it hears sudden noise in the night. You can also experiment with different kinds of white noise. If the sound keeping you awake is a deep traffic noise, then maybe try pink or brown noise instead as they have more strength at the lower frequencies. Babies are easily kept awake or woken up by sudden sounds. White noise can help to drown out these sounds and keep them sleeping for longer. Babies are already accustomed to listening to constant noise – the womb isn’t a quiet place, and white noise is sometimes thought to imitate the sound of blood rushing in the womb. While writing this article, I’ve been listening to pink noise constantly. I can hear the sound of traffic quite loudly from where I work, but the pink noise completely drowns it out. This stops me from being distracted by changes in the volume of traffic, loud motorbikes, trucks and beeping horns. I find it’s very effective and I’m so used to the sound now that as soon as I put it on I feel focused, and it fades nicely into the background. It’s also sometimes used by people who work in other kinds of noisy environments, such as manufacturing or where there’s a drone of technological devices. However, despite my own positive experience with white noise, some studies have shown that listening to white noise constantly to aid concentration can have a negative impact on your performance, stress levels and memory. Other studies have been done to see if white noise can improve the concentration of children with attention difficulties. It appears that it does in some situations, but also decreases the performance of children who don’t have attention problems. Overall, it seems this is still a developing area. My personal experience is that listening to white noise is better than listening to the drone of traffic. But perhaps after a few more days or weeks, it will start to irritate me. I can also personally attest to the theory that white noise helps ease tinnitus. Having had chemotherapy for cancer treatment 2 years ago, I have tinnitus as a permanent side effect of the Cisplatin drug. Especially bad at night time, or if I’m tired, ill or stressed, I find that white noise in any form – pure or sounds of nature – helps to block out the ringing I hear from tinnitus. Many people find the sound of oceans, rivers, waterfalls and rain relaxing and peaceful. It may not be for everyone, but most people will state that one of the joys of being in nature is listening to the sounds. So the next time you’re feeling stressed, why not have a listen to the sound of an ocean or waterfall and see if it helps you unwind? Can white noise really help you sleep? What researchers have found. There have been several interesting studies investigating the potential for white noise to help people sleep better. They tend to focus on specific groups, such as newborns and adults in noisy hospital environments. Still, the results are usually positive. In 2016, researchers in Iran undertook a study to see if white noise would help patients in a critical care unit sleep better. They split patients into 2 groups, playing white noise of 50-60 decibels to one group, while the other group would have the normal sounds of the hospital ward. Sleep disorders are more common among patients in intensive care units. 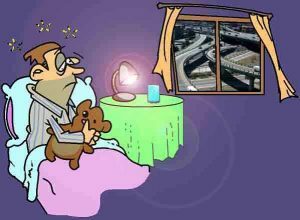 Environmental factors like noise is a common cause of sleep disorders. Based on the findings of this study, the use of white noise is recommended as a method for masking environmental noises, sleep induction, improving sleep, and maintaining sleep in the coronary care unit. In a similar study in 1992, a researcher at Huntsville hospital in Alabama looked at the effects of white noise on the sleep of patients recovering from heart surgery. In this study, 30 patients were played ocean sounds through a white noise machine, while 30 would just have the normal sounds of the ward. They found no difference in the time it took to fall asleep. However, the group listening to white noise reportedly had better overall sleep. This was based on better results for ‘sleep depth, awakening, return to sleep, quality of sleep, and total sleep scores’. The use of ocean sounds is a viable intervention to foster optimal sleep patterns in postoperative CABG patients after transfer from the ICU. In a study in 2004, researchers looked at whether it was the volume of environmental noises or changes in volume that disrupted sleep more in an intensive care unit. And also if white noise would help reduce this disruption. Interestingly, they used Polysomnography – the gold standard of sleep monitoring – rather than subjective or observational measures of sleep. Peak noise was not the main determinant of sleep disruption from ICU noise. Mixed frequency white noise increases arousal thresholds in normal individuals exposed to recorded ICU noise by reducing the difference between background noise and peak noise. This is a particularly useful study, as it supports one of the main claims made about white noise – that it helps prevent sudden external sounds from waking people up. Perhaps the most famous study of white noise and newborns took place in 1990. In the study, researchers at Queen Charlotte’s Hospital in London looked at the effects of white noise on newborns between 2 and 7 days old. They split the newborns into 2 groups of 20. One group was observed in silence in their cot to see how long it took them to fall asleep. The other group was played white noise through a standard white noise machine (placed next to the cot, 30 cm from the head). They found that 16 (80%) fell asleep within 5 minutes when listening to white noise. In contrast, 5 (25%) fell asleep in that time without white noise. In addition, they made two interesting observations. Firstly, lower frequency noise worked better, similar to the frequency of a vacuum cleaner. And secondly, that white noise didn’t help them settle if they were hungry, but did once they’d been fed. This study didn’t look at the effectiveness of white noise, but I think it’s useful to go off on a brief tangent to look at the safety advice arising from it. In 2014, a study by researchers at the University of Toronto made headlines around the world. They tested a range of white noise machines, finding several that have a maximum possible volume that could be damaging to a child’s hearing. However, the point being made by the researchers was that manufacturers should be clearer about how to use white noise – not that white noise is a bad tool for parents to use per se. ISMs (Infant Sleep Machines) are capable of producing output sound pressure levels that may be damaging to infant hearing and auditory development. We outline recommendations for safer operation of these machines. What these few studies show then is that there is scientific evidence that white noise can help some adults and newborns sleep. However, if you use it to help children sleep, it’s important to do so in a safe way. Don’t play any white noise at a loud volume or for extended periods of time, and avoid becoming dependent on it to help them sleep. What do sleep experts say? The National Sleep Foundation says that noise at night can wake you briefly, especially during the lighter sleep stages. So they suggest that white noise can help ‘mask activity from inside and outside the house’. They also report that in their large sleep survey in 2012, 74% of Americans rated a quiet bedroom as being important for sleep. Writing on her website babysleeppro.com, Dr. Rebecca Kempton, M.D., who is a pediatric sleep specialist, recommends white noise to parents. She believes that babies are used to loud noise in the womb – that ‘the whooshing sounds they were exposed to in the womb are almost as loud as a lawnmower’. So white noise can be more comforting than silence. As you’d expect, the companies that make white noise machines all speak highly of the potential for white noise to improve sleep. They also explain why it can be helpful for babies. They point to the ‘shushing’ sound that parents naturally make to calm their babies, explaining that white noise is a way of ‘outsourcing’ your shushing. The company behind LectroFan also believes that white noise creates a safe environment by blocking out noise that can be overstimulating. It reduces the number of sudden disturbances from siblings, TVs and music. And that it can help babies stay asleep longer by extending how long it is before they experience natural arousals. Marpac says on their website that white noise can help if snoring keeps you awake, or if you live in a loud environment. They suggest that it provides a ‘consistent sound environment that is especially soothing to infants, but also for adults’. They also propose the interesting idea that parents can continue normal activities without tiptoeing around the house. I have to admit that I tend to sleep best when I have absolute silence. My solution is usually to use earplugs and shut the world out as much as possible. However, earplugs don’t always do the trick – they can only reduce so much noise. So on occasion, I’ve played pink noise (I find the lower frequency more relaxing), as I find it does a great job of blocking out noise. But I have to play it on as low a volume as possible, so as not to find it more disturbing than the original noise. And recently, I’ve discovered that white noise in the form of natural sounds, like rain and waves, also helps me relax and fall asleep. Just found your website now because I’m trying to understand how these colored noises affect the brain and sleep. Brief background, I’ve been using earplugs at night to get rid of the noises that my flatmates make all night long, esp. those 2 rooms on both sides of my room. A couple of years ago, I first tried white noise by turning on the radio loudly without frequency, that didn’t mask the banging of doors and kitchen noises, So I then used earphones to listen to white noise and turned the volume high a bit to mask the annoying external sounds. Initially It helps with me falling sleep because it deactivates my hyper active brain, but in the morning I always have a tinnitus. For a couple of months I did that, but it came to a point that the tinnitus is becoming stronger, so I stopped and relied on disposable earplugs instead. For a year, I’ve used earplugs but this has effects too, like dried ear canals and itchiness that wakes me up in at night. I remedied the itchiness by cotton swab with petroleum jelly to clean my ears every 2 days, that also extended the life of the earplugs and I didn’t have to throw it even after 5 days of use. But recently, about 2 months ago, I was so stressed at work and developed anxiety that kept my brain active at night, thus making me only sleep 2 hours every and the vicious cycle started – wanting to sleep but cannot because of fear of not getting enough sleep made me awake due to conscious sleep monitoring. So last night, in desperation, I turned back to the noise, brown noise in my case. I had the amazing, energetic sleep I didn’t have in months! I didn’t turn the volume up too much to avoid the tinnitus, and I now can attest that colored noises are working for me to shut my brain up at night. It also makes me concentrate / focus better at work (this I’ve proven years back when I started listening to white noise, I didn’t have that headache that other are complaining about). Btw, those soothing rain / spa/ thunderstorm noises didn’t work for me since I tend to listen to the ever changing noise instead of letting my brain shut down. Thank you for your comment. It’s not easy to deal with noisy flatmates, unfortunately. One trick you could try is to put more fabrics and furnishings in your room – hang some material, put in a rug, get more cushions, pillows etc. Basically anything to absorb the sound energy. Then maybe try putting underlay or neopreme under your bed legs too to reduce the sound travelling that way. As for ears, be careful using swabs. I use earplugs regularly, and always throw them away after a couple of days rather than risk a build-up of dirt in my ear. And I also like brown noise compared to white noise. Like you say, keeping it on a lower volume is better – and safer. Newer studies show that white noise is actually detrimental to the brain. Much healthier is to use noise that varies in pitch and frequency, mimicking the natural world (and conversations). Thanks for your comment. Could you give me some links to these studies please? I know there have been some waves about not using white noise too for long periods of time or at loud volumes. But I don’t think it’s the case that it shouldn’t be used at all. Absolutely agree with you on this. I have been exposed to white noise at my place of employment for several weeks and up to several months on and off. At times the white noise speakers around me sounded very loud, I’ve developed headaches overnight, a pressure sensation in both my ears, tingling and several other effects that I can only relate to the technology being used. Eventually, the speakers were turned off due to numerous complaints of having to hear the constant hissing sound (noise really). Since then all for me has returned to normal and what I was experiencing is completely gone now. The effects took about a week to disappear completely. The technology may be good for some but not others. Perhaps those with supersensitive hearing will experience what I did. Not sure what others think about it but it was definitely affecting me. Since then I have moved to a new office location and they have speakers emitting white noise all day. I have opted to use a set of noise muting headphones to block all sounds including speech. This seems to work fine for me since I don’t hear anything now as long as I have the headsets on. If I don’t have them on because I am on the phone or talking to someone, I hear the white noise speakers in the background. I try not to stay sitting all day in front of my computer but even that may be perceived as not being productive. Advice for corporations out there, Implementing technologies should be thoroughly researched before they are implemented in the workplace. I can imagine listening to white noise all day would be a bit much. I quite like it for a couple of hours on an occasional day if there is annoying noise outside my study. But every day all day would drive me up the wall! We have white noise in the office. It plays all day long and it doesn’t cut out the sounds or people talking since it travels down the hallways. What’s more annoying is that it’s programmed at intervals and I can even tell the time. It’s on very soft at 8, then up one level at 8:15 and then up another level at 8:30 and stays constant for the rest of the day. Everyone in the office is okay with it (or people are afraid to say something) so makes me think I’m the crazy one? I feel I’m working in a Coke bottling plant with the constant roar of the conveyor belt. I think it might be the pitch since the desk fan I have doesn’t bother at all. My dentist installed white noise in their waiting room and I stopped going to their office a few years ago. I really, really and truly hate white noise! Thanks for your comment. I can understand why you’d hate it if you have to listen to it all day! It would drive me crazy if I had to listen to it all day every day. Why did they install it as a permanent feature? Many of the hospitals installed it in our area and the boss thought it was a great idea to install it in our office as well. Funny thing is that none of the speakers are installed near their office doors so they don’t have to listen to it. They claim that it cuts down on the noise coming from other people when they are on the phone but I think it makes them talk a little louder. Yes, that might be the reality of using white noise in the office if it’s not properly thought out! Personally, I wouldn’t be too keen on having it constantly on in the office all day, every day! of science definitely went mad – as Lyn said. She is totally correct. 1) I recommend the “Sound + Sleep” machine you can find on Amazon. It is about $100 but very well worth it. You may want to publish info on the Dohm sleep machines as well. 2) My husband really struggles with the white noise. He says it gives him dreams when he used to never have them, as well as headaches and ringing in the ears. (He and I have never had any trouble sleeping). We still have two very small children, but I have recently turned it off at night with the sleep timer (on the Sound + Sleep machine–it has 4 sleep timer settings to avoid disruption of a sudden “off). Now, he and I both feel very refreshed again. It was almost a complete noticeable difference for us in how we felt. With the white noise on every night, we were feeling groggy and exhausted almost all hours of the day. I always felt as though I couldn’t get enough sleep. Can you research whether white noise can make some people MORE tired? I wonder if it’s because our brains were engaging with the sound from the machine and keeping us from deeper sleep. Our house and area is very quiet, so we weren’t struggling with outside or street noises. It IS helpful to block out household noise or crying from the other children especially during the daytime or evening when others are awake. If it made US feel more tired, I still worry a little about the babies not being refreshed after naps. I’m not sure! Thanks for your comment. That’s the reason most machines have an auto-off timer! The idea is that they help mask noise when you’re falling asleep, but don’t then become the reason you wake up later. I’ve seen some good advice – especially for using it with children – saying play it at the softest volume for the shortest possible time. I don’t know how anyone could listen to white noise for long periods as I believe my neighbour is using some kind of white noise sound and it’s driving me nuts, my ears ache, I can’t sleep properly and when I do I wake up with headaches. I know it’s not in my head because I have recorded the noise to prove I’m not loosing my marbles or that I have tinnitus. Why would anyone find it relaxing and those poor babies, has the world of science gone mad or am I just losing the plot. Thanks for your comment. There must be something unusual happening if you can hear white noise that loudly through a wall. Perhaps they are playing it loudly on a stereo, because no small device or phone would be loud enough to both go through a wall and cause someone else trouble. I would speak to them and ask them if they wouldnt mind playing it softer. 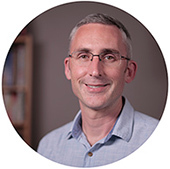 You could also politely suggest that there is advice from specialists who say it should be played to young children as quietly as possible and still has the desired effect.